The past 2 weeks I quilted two quilts--but with frustration. 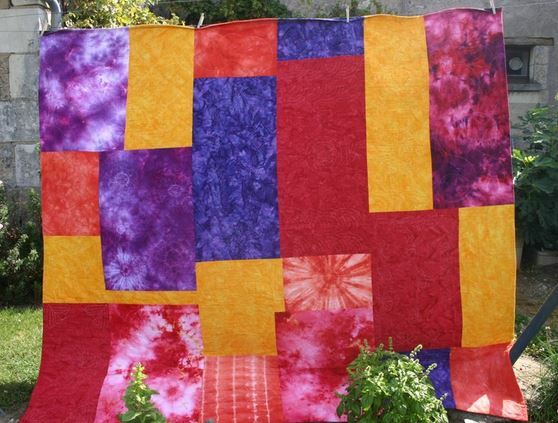 I would be quilting and then get to a certain spot and it would start giving me long skipped stitches and then switch back to regular stitching. The skipped stitches occured only when moving in a horizontal direction. My husband looked at the cabling while I was quilting and watching the cords and moving them around and we got them placed to where it wouldn't do it. But every new time I go to use the machine, it does the same thing. 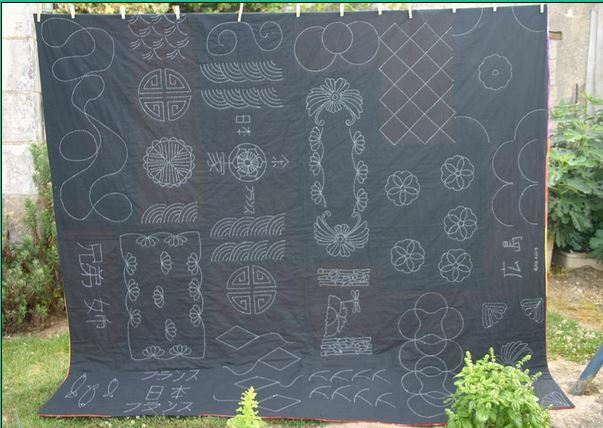 Well had a busy week, first did some ordering, 6 bolts of 60" wide PFD fabric for dyeing. Then ordered a spin dryer for my dye studio, Have the Panda washer already. Also ordered some dyes, have all the paints, inks, and what not that I could ever need. 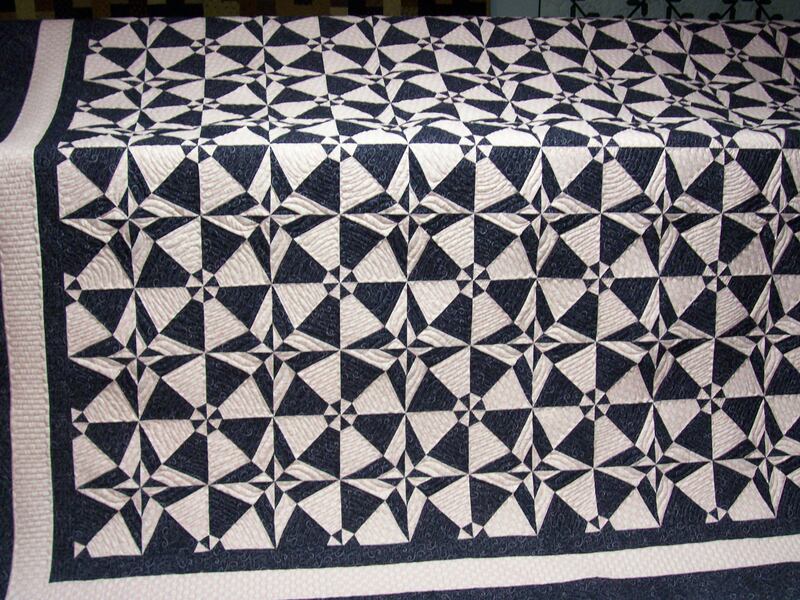 I saw Eleanor Burns make what she called THE 12 FAN TABLE RUNNER on RFD tv today--have searched all thru her website and can't find the pattern. Does anyone have it or know where to get it? Google didn't bring up anything either so I'm stumped. Wanted to make some for Christmas gifts. Thanks for any help. 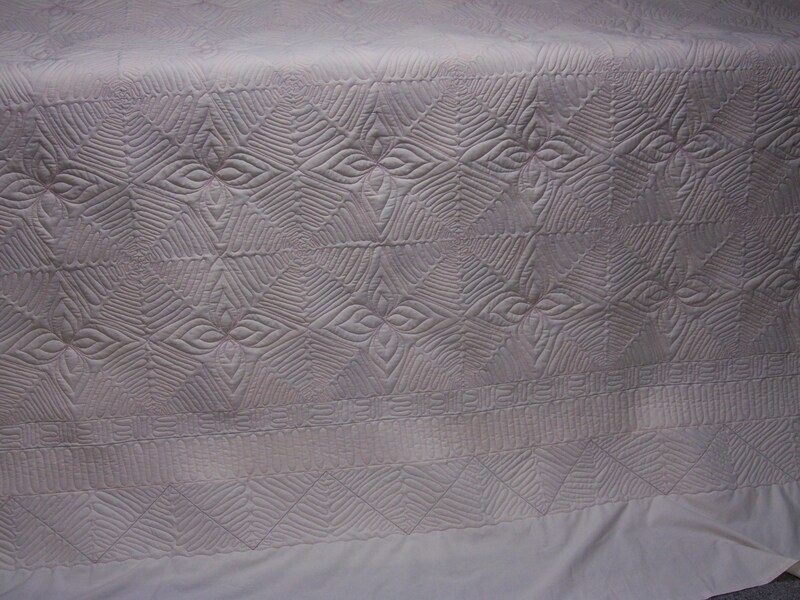 I am new here and these are pictures of quilts I have made. This quilt was made for my youngest son when he was 18 years old (he is now 24). One side is in sashiko because he was at the University studying english and japonese. The other side is made with fabrics I bought for half and hand-dyed by myself for the other half. How long to cut each border strip - formula?